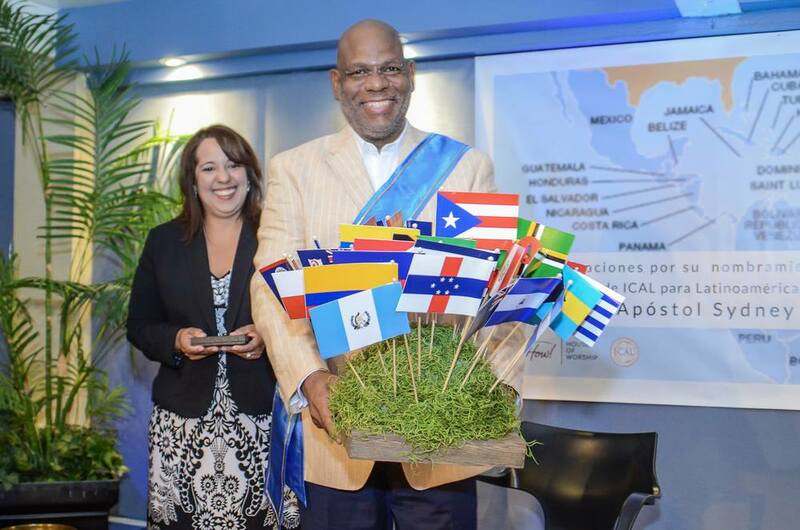 On June 2, during the CLAPR (Puerto Rico Coalition) Summit in June of 2015, Apostle Sydney Stair, was commissioned by Apostle John P. Kelly as the International Ambassador to Latin America and the Caribbean. Apostle Stair was the Convenor to Puerto Rico for 4 years until his work in the nations began to take more and more time. At the annual meeting for CLAPR, Apostle Mickey Medina was commissioned as the new Convenor by Apostle Kelly, along with Apostle Joseph Mattera, the Convenor of the USCAL and Apostle Miguel Perez, an ICAL Ambassador. The image above shows the nations where Apostle Stair works with local apostolic leaders. Apostle Stair is highly regarded throughout the Caribbean nations. Among his many ministry roles, he is the primary interpreter for well-known speakers such as Benny Hinn and Morris Cerullo when they are in these countries.